Wilhelm Schickard (see the calculating machine of Schickard) was born in the morning at half past seven on 22 April, 1592, in Herrenberg, Germany. 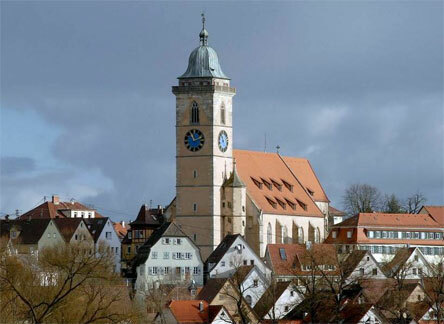 Herrenberg is a small town, located in the area Württemberg in the southern part of Germany, some 15 km from one of the oldest university centers in Europe—Tübingen, which University was found in 1477. Wilhelm was the first child in the family of Lukas Schickard (1560-1602), a carpenter and master builder from Herrenberg, who married in 1590 to Margarethe Gmelin-Schickard (1567-1634), a daughter of Wilhelm Gmelin (1541-1612), a Lutheran pastor from Gärtringen (a small town near Herrenberg) and Magdalena Rieger (1540-1580). Wilhelm had a younger brother—Lukas and a sister. The Schickards is a well-known Herrenberg's family, which was originally from the German region Siegerland (in region Nordrhein-Westfalen), but had moved south in the beginning of the 16th century. The great-grandfather of Wilhelm—Heinrich Schickard (1464-1540) from Siegen, called Heinrich Schickhardt der Ältere or Heinrich der Schnitzer, was a famous woodcarver and sculptor, whose wood-works (stalls from 1517) are still preserved in the church Stiftskirche Herrenberg. He was the founder of the Herrenberg's Schickards family, moving in 1503 from Siegen, Siegerland, to Herrenberg. A brother of Lukas Schickard and uncle of Wilhelm is Heinrich Schickard (1558-1635)—one of the most prominent German architects of the Renaissance. 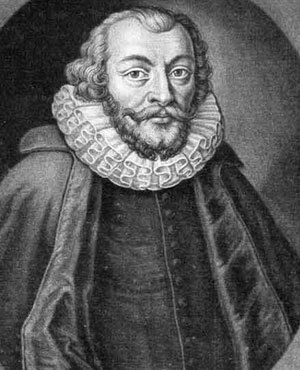 The other uncle of Wilhelm is Philipp Schickard (1562-1635), a well known in his lifetime theologian. Wilhelm, a precocious child, started his education in 1599 in a Latin-school in Herrenberg. After death of his father Lukas in September, 1602, his uncle Philipp, who served as a priest in Güglingen, took care for him, and in 1603 Wilhelm attended a Latin-school there. In 1606 another uncle of him, Wilhelm Gmelin, took young Wilhelm in the church-school in Bebenhausen Monastery, near Tübingen, where he was a teacher. 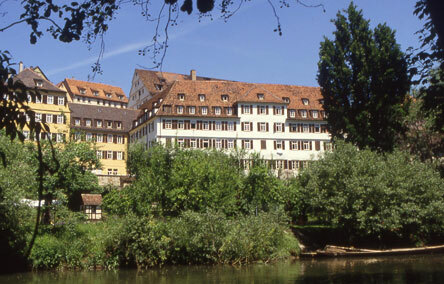 The school in Bebenhausen was associated with the Protestant theological seminary Tübinger Stift, in Tübingen, so in March 1607 the young Wilhelm entered a bachelor program of the Stift, held in Bebenhausen. In April, 1609, he received his bachelor degree. In Bebenhausen Wilhelm studied not only languages and theology, but also mathematics and astronomy. In January, 1610, Wilhelm went to the Tübinger Stift to study for his master degree. Tübinger Stift is a hall of residence and teaching of the Protestant Church in Württemberg. It was founded in 1536 by Duke Ulrich for Württemberg born students, who want to be ministers or teachers. They receive a scholarship which consists of boarding, lodging and further support (students received for their personal needs six guilders per year cash). This was very important for Wilhelm, because his family apparently was short of money and cannot support him. After death of his father in 1602, in 1605 his mother Margarethe married second time to Bernhard Sick—a pastor in Mönsheim, who also died several years later, in 1609. Besides Schickard, other famous students of Tübinger Stift are: Nikodemus Frischlin (1547-1590), a famous humanist, mathematician and astronomer from 16th century; the great astronomer Johannes Kepler (1571-1630); the famous poet Friedrich Hölderlin (1770-1843); the great philosopher Georg Hegel (1770-1831) and others. After receiving his master degree in July, 1611, Wilhelm continued studying theology and Hebrew language in Tübingen until 1614, working in the same time as a private teacher of mathematics and oriental languages, and even worked sometime as a vicarius in 1613. In September 1614 he took his last theological examination, and started his church service as a Protestant deacon in Nürtingen, a town, located some 30 km north-west of Tübingen. On 24 January, 1615, Wilhelm married to Sabine Mack from Kircheim. They were to have 9 children, but (as it was common in these times), only 4 will survive by 1632: Ursula Margaretha (born 03.03.1618), Judith (b. 27.09.1620), Theophil (b. 3.11.1625) and Sabina (b. 1628). Schickard served as a deacon till the summer of 1619. The church duties left him plenty of time for his studies. He continued his work on old languages, translations, and wrote several treatises, for example in 1615 he sent to Michael Maestlin an extensive manuscript on optics. During this time he developed also his artistic skills, creating several portraits, astronomical tools, he had even a copper press. In 1618 Schickard applied for and in August, 1619, he was appointed as a professor of Hebrew language at the University of Tübingen, recommended by Herzog Friedrich of Württemberg. The young professor created his own method for presenting material, together with some wise auxiliary means, and taught also other ancient languages. Schickard learned also Arabic and Turkish. His Horolgium Hebraeum, a textbook for learning Hebrew in 24 hourly lessons, went through countless editions during the next 2 centuries. Actually Schickard was a remarkable polyglot. Besides German, Latin, Arabic, Turkish, and some ancient languages like Hebrew, Aramaic, Chaldean and Syriac, he knew also French, Dutch, etc. His efforts to improve the teaching of his subject show remarkable innovation. He strongly believed that, as the professor, it was part of his job to make it easier for his students to learn Hebrew. One of his inventions to assist his students was the Hebraea Rota. 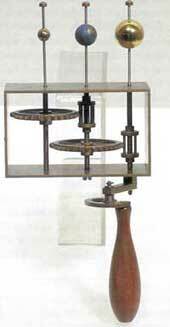 This mechanical device displayed conjugation of Hebrew verbs by having two rotating discs laid on top of each other, the respective forms of conjugation appearing in the window. Besides Horologium Hebraeum, in 1627 he wrote another textbook—the Hebräischen Trichter, for German students of Hebrew. 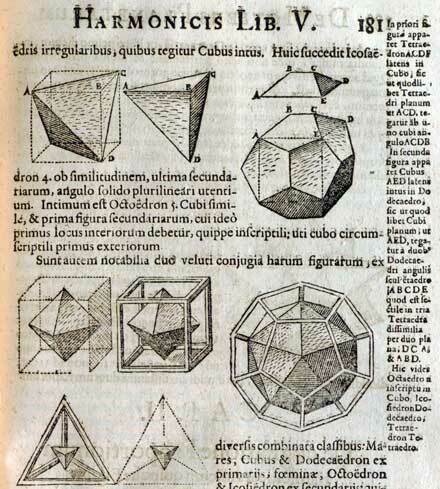 However, his research was broad and, in addition to Hebrew, included astronomy, mathematics and surveying. In astronomy he invented a conic projection for star maps in the Astroscopium. His star maps of 1623 consist of cones cut along the meridian of a solstice with the pole at the centre and apex of the cone. Schickard also made significant advances in map-making, writing a very important treatise in 1629, showing how to produce maps which were far more accurate than those which were currently available. His most famous work on cartography was Kurze Anweisung, wie künstliche Landtafeln auss rechtem Grund zu machen, published in 1629. In 1631 Schickard was appointed professor of astronomy, mathematics and geodesy at the University, because he had already significant achievements and publications in these areas, taking the chair from the famous German astronomer and mathematician Michael Maestlin, who died the same year. He lectured on architecture, fortification, and hydraulics. He also undertook land surveying of the duchy of Württemberg, which involved the first use of Willebrord Snell's triangulation method in geodesic measurements. As professor of astronomy Schickard lectured on the topic and undertook research into the motion of the moon. He published Ephemeris Lunaris in 1631, which allowed the position of the moon to be determined at any time. We should note that, at a time when the Church was trying to insist that the Earth was at the centre of the universe, Schickard was a staunch supporter of heliocentric system. In 1633 he was appointed dean of the philosophical faculty. 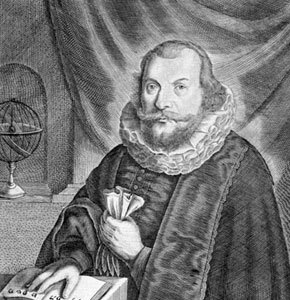 An important role in the life of Schickard played the great astronomer Johann Kepler. After their first meeting in the autumn of 1617 (Kepler was passing through Tübingen on his way to Leonberg, the Württemberg town where his mother had been accused of being a witch), they had a busy correspondence and several other meetings (in 1621 for a week, later on for 3 weeks). Kepler used not only Wilhelm's talent for mechanics, but also his artistic skills. In 1618 Schickard built a tool for comet watching for Kepler. Later on Schickard took care for Kepler's son—Ludwig, who was a student in Tübingen. Schickard agreed also to draw and engrave the figures of the second part of the Epitome Astronomiae Copernicanae of Kepler on woodblocks, yet Krüger (Kepler's publisher), always ready to interfere with Kepler's plans, stipulated that the carving had to be done in Augsburg. Schickard sent thirty-seven woodblocks for books 4 and 5 to Augsburg towards the end of December 1617. Schickard engraved also the figures for the last two books (the carving was done by one of his cousins). Wilhelm also proposed to Kepler a development of a mechanical means of calculating ephemerides and created the first hand planetarium. Schickard created also, probably by request from Kepler, an original instrument for astronomy calculations (see the photos bellow). Kepler showed his gratitude, sending him several of his works, two of which are still preserved in the University Library in Tübingen. In 1631 the life of Schickard and his family was under threat of the battles of Thirty Years' War, which approached Tübingen. Before the Battle of Tübingen in 1631, he fled with the entire family to Austria and returned after several weeks. In 1632 the family again fled to Austria. In June 1634, hoping for quieter times, he bought a new home in Tübingen, suitable for astronomical observations. His hopes were vain although. After the battle of Nördlingen in August 1634 the Catholic forces occupied Württemberg, bringing violence, famine and plague with them. Schickard buried his most important notes and manuscripts, in order to save them from plunder. These partly survived, but Schickard's family not. In September 1634, in sacking Herrenberg, the soldiers from the Catholic forces beat Schickard's mother—Margarethe, who died lingering death of her wounds. In the next January of 1635 was killed by soldiers his uncle—the architect Heinrich Schickard. In the end of 1634 died from plague Schickard's eldest daughter—Ursula Margaretha, a girl of unusual intellectual attainment and promise. Then died his wife Sabine and the two youngest daughters—Judith and Sabina, two servants and a student, who lived in his house. Schickard survived this outbreak, but the following summer the plague returned, taking with it in September his sister, who was living in his house. Schickard and his only survived child—9 years old son Theophilus, fled to the village Dußlingen, near Tübingen, having the intention to emigrate to Geneva, Switzerland. However on the 4 October 1635, fearing that his house and especially his library would be plundered, he returned to Tübingen. On 18 October he become sick of plague and died on 23 October 1635. His little son followed him after a day. Besides Kepler, Schickard also corresponded with the some other famous scientists of his time—mathematician Ismael Boulliau (1605-1694), philosophers Pierre Gassendi (1592–1655) and Hugo Grotius (1583-1645), astronomers Johann Brengger, Nicolas-Claude de Peiresc (1580-1637) and John Bainbridge (1582-1643), and many others. Wilhelm Schickard was one of the most reputable scientists of Germany of his time. The opinions for this universal genius from his contemporaries are—the best astronomer in Germany after Kepler's death (Bernegger), the foremost Hebraist after the death of the elder Buxtorf (Grotius), one of the great geniuses of the century (Peiresc). However, like many other geniuses with wide interests, Schickard was in danger of stretching himself too thin. He succeeded to finish only a small part of his projects and books, being struck down in his prime.